Today is the last and final day of Famous Musician Week. I hope that you have enjoyed reading about my little stories of how I met these various musicians over the years. It is always both motivational and inspirational to meet someone who has acheived great things in their life – particularly when they are in the same line of work as you. I certainly do not compare myself to these superstars in the least, but I know that we all have something to offer the world and I hope that through the small contribution my music has made that I have provided a little inspiration to some aspiring musician out there. The question remains, who are some famous musicians that I would still love to meet one day? I do have a few that I would love to meet, but would hate to jinx my luck so I’ll keep that answer to myself. I have two more musicians that I wanted to tell you about today – violinist Hilary Hahn, and composer Michael Hoppe. To be honest, I don’t have a killer story to share about Hilary Hahn. I did meet her in Seattle at a small record store when she released her Mozart Concertos album. She is probably my favorite violinist. I love her technique, her sound, her style. And I also love that she is a writer. If you go to her website, she has an extensive journal that she’s kept while on the road for the past 15 years or so. She has definitely provided a lot of inspiration to me and I thank her for that. One of my favorite movie soundtracks is “The Village” (by composer James Newton Howard). 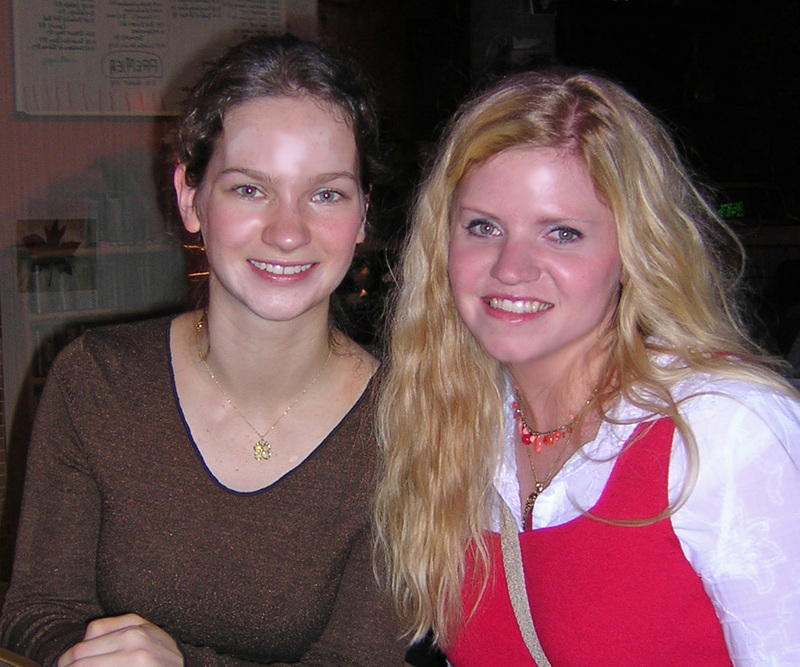 Hilary Hahn was the featured violinist on the music. It is hauntingly beautiful. That is the CD that I brought with me to have her autograph. While she was busy autographing everyone else’s Mozart CDs, she was very excited to see me bring The Village CD to sign. She was extremely interested in knowing my opinion of it, and told me that she had the most wonderful time recording that soundtrack and it was one of her favorite experiences. 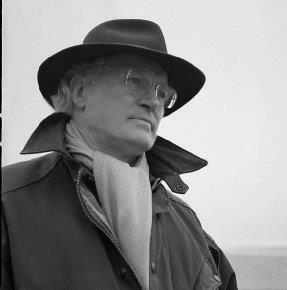 I’m not certain that everyone knows who Michael Hoppe is, but he is a brilliant composer from England, who now lives in Portland, Oregon. He is a GRAMMY nominated composer who’s music is heard on networks like HBO, Oprah Winfrey, and also Michael Moore’s documentary films. He has recorded several works with the Prague Symphony Orchestra, and well, his music is beautiful. I first heard Michael’s music when I was in college. Someone gave me a CD of his as a gift. The album was called “Afterglow”. The music was a mixture of piano, solo cello, and rain/thunder. The music was so peaceful. I would listen to it often while I studied, and also to remind me of the rain in the northwest as I was often quite homesick. It is the type of music that you would light a thousand candles to and take a bubble bath, to be quite honest. The CD had remained a favorite of mine for years. After I released Key of Sea in early 2007, I received an email from music reviewer Kathy Parsons, who had reviewed my CD earlier that year. She told me that she had just had lunch with Michael Hoppe and they ended up talking about me. She asked me if I knew who Michael Hoppe was, and I said “Yes of course! I love his music!” I don’t remember exactly in detail what she said after that, but the gist of the conversation was that Michael had listened to my music and insisted (in an English accent if you can imagine it) that “She must enter her album into the Grammies this year and I will help with the process, if needed”. Now at that time, I was completely new to the whole music scene and someone putting my name in the same sentence wtih Grammy Awards of course about made my eyes pop out of their sockets. BUT, before you get excited, you should know that anyone who has a membership in the Recording Academy can enter their album into the Grammy Awards. So really, it’s not that special. It is special, however, if you go on to receive a nomination. But just to enter your album – not a big deal. But at the time, I thought it was a huge huge deal. And it WAS, in particular, to have someone like Michael Hoppe say that about my music. Over the next week, I spent quite a few phonecalls with Michael talking about my music, the Grammy entrance process, Etc. I remember him asking me how I did my strings/orchestration on my album. I told him that I used a mixture of sampled strings as well as my own violin playing to get an authentic sound. He said he thought it was brilliant. I gleamed. Michael Hoppe was on the Grammy board that year, and so it was hoped that with his recommendation my CD would make it into the right hands – as the deadline for submissions was literally days away and we weren’t sure if my album would make it in time. After an extraordinary amount of overnight postage paid, my album did in fact make it into the hands of someone at the Recording Academy. However, it was rejected because my Recording Academy membership was brand new (I applied for it at the same time I submitted my album). Apparently, you have to of been a member by or before a deadline that was 3 months prior. There were no exceptions. Since that whirlwind Grammy submission process that ended in ultimate failure, my friendship with Michael Hoppe ended up quite the opposite. We stayed in contact and developed a friendship of mutual admiration and respect for each others talents, but still had not ever met in person. A while after that, I got an email from Michael inviting me to a special Seattle PBS taping of his music. My husband was unable to attend with me, and so I invited my good friend Erika Nisbet (as mentioned in my previous entry). I thought she would in particular enjoy the experience since Michael’s guest artist was a soprano and that was Erika’s area of speciality as well. We arived at the PBS studios the evening of the recording, and attended a special cocktail party beforehand. I was almost 5 months pregnant at the time with my first baby, and I remember being frustrated because I was absolutely starving and all they were serving were fancy soft cheeses – none of which a pregnant woman can eat! So I filled up on fancy carbonated fruit drinks and tried to ignore my growling pregnant tummy. It was a very small intimate audience of about 30 people – all of whom were specially invited by Michael. The concert was lovely, and I really enjoyed seeing how they filmed everything. If there was a mess-up during the song, they would just record the song over again until it was perfect. I also got many ideas on how to better mic my own violin as there was a solo violinist that performed that evening and her violin sounded amazing with the amount of reverb they put on it. And when the big studio cameras got right up in my face for audience shots, I tried very very hard to not look at them. That is not easy to do by the way. After the concert was over, everyone went up to talk to Michael. I stood in line and waited my turn as each person went through and told him what an amazing job he did and how talented his soloists were, etc. While I was waiting in line, I remember standing next to a woman who, I honestly cannot remember her name, but she was some big to-do musician from the Seattle area. I introduced myself to her because she looked very familiar to me, and I thought perhaps she was one of my musical friends on MySpace (this was when MySpace was really huge for musicians). To my shock, she was incredibly rude to me. I suppose she thought that she was too big and famous to be talking to me, or perhaps I insulted her when I asked her if she knew me from online? Who knows. She gave me daggers for a look, and literally physically looked down at me and did a guesture of disgust that I was even trying to talk to her. The funny thing about it all, was I still had no idea who she was and yet she thought she was pretty high and mighty. Right after our fun little conversation, Grammy award winning musician Nancy Rumbel came out (she had performed with Michael that night). I knew Nancy from when she recorded on my mom’s album earlier that year, and in fact Nancy is responsible for getting me into composing in the first place. We saw each other and she came right over and started talking to me, asking me how my mom was, how my music was going, and other things. The other woman, who had earlier, been so incredibly rude to me just stood there watching us talk and I think she was a bit baffled that Nancy and I knew each other. And then right after that, Michael Hoppe saw me and said “Jennifer!” and grabbed me for a hug. He put his hand on my small pregnant belly and asked how the baby was and we laughed and talked for several minutes. He was the first person to ever feel my belly and so I have to say it was a little bit weird, but whatever! All the while, this other famous music rude lady was watching me and had this astonished look on her face. My friend Erika got a kick out of it and I think she was trying to not laugh. I am still friends with Michael these days and what a treasure that friendship is. As for the “rude famous lady”, whoever she was, I personally do not think there is ever call for someone to treat other people like that. No matter how big and famous you are, or might think you are, it does not make you better than anyone else. And that is also the moral to all of these stories I’ve shared with you this week. It’s so easy to be starstruck by famous people, musicians, or whatnot. But when it comes down to it, they are just normal people like you and I who started somewhere and worked their way up to where they are now. They have lives, families, and problems just like the rest of us. Hopefully what we see though is the incredible inspiration of their hard work. And with that, thus concludes Famous Musician Week. Ciao! Read more from Famous Musician Week here.